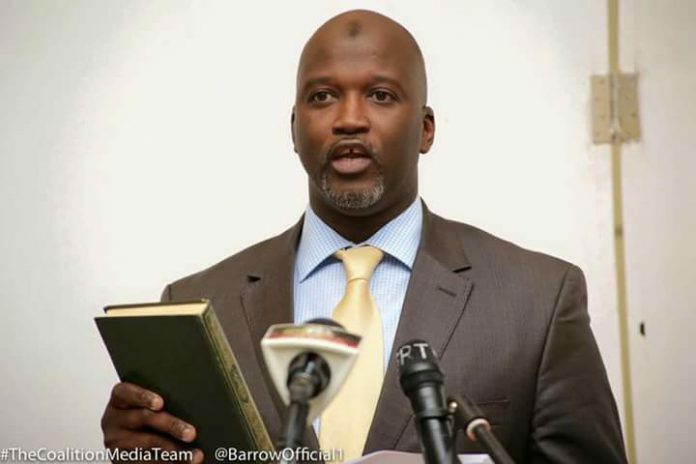 Gambia’s Justice Minister announces at a press conference that the former Gambian dictator’s assets have been frozen by court order. The Attorney General and Minister of Justice, said during the press conference in Banjul that his office obtained a court order today freezing or placing a temporary hold on the known assets of former President Jammeh who is currently living in exile in Equatorial Guinea. The court order, according to the Minister, affects 131 landed properties in the personal name of the former dictator or companies directly associated with him. In addition to the 131 known landed properties thus identified, there are also 88 different bank accounts, 14 companies and number of livestock purportedly belong to the disgraced dictator. Preliminary finds also shows Jammeh milking the Social Security and Housing Corporation (SSHFC) amounting to D 189 million and the withdrawal of US$ 50 million from the special deposit account that holds proceeds of the foreign assistance programs meant for the country. The Minister solicited the corporation of the general public for information relating to assets held in the personal name of Jammeh or directly associated with him. Anyone withholding information in this regard, the Minister emphasized, will be committing an offence.